Each water well Project costs $250 (included 01 Water Filter) and provides a family and its immediate neighbors with easily accessible clean water. On an average, four families use water well. Without it, these people would have to walk 3 kilometers in each direction to collect water for the purpose of drinking and farming. At present, there are 1367 families in ten villages. We have provided 300 water wells. There is an urgent need for at least 500 more. There is also the necessity for toilets and hygiene instruction, to prevent a myriad of diseases. It takes one day to dig each well and pour the concrete. Digging the well employs three people. Each well has a signboard and this employs yet another person. The contractor is then liable to repair the well for the first two years to ensure that all the parts continue to work. Each well is then tested for Arsenic and E-Coli. The villagers are taught how to take care of their well.Support clean water to poor families by building hand pump water wells at a rate of 8-10 wells monthly. Concentration of water wells in the rural surrounding area of Siem Reap Province, comprising 10 different villages and districts. 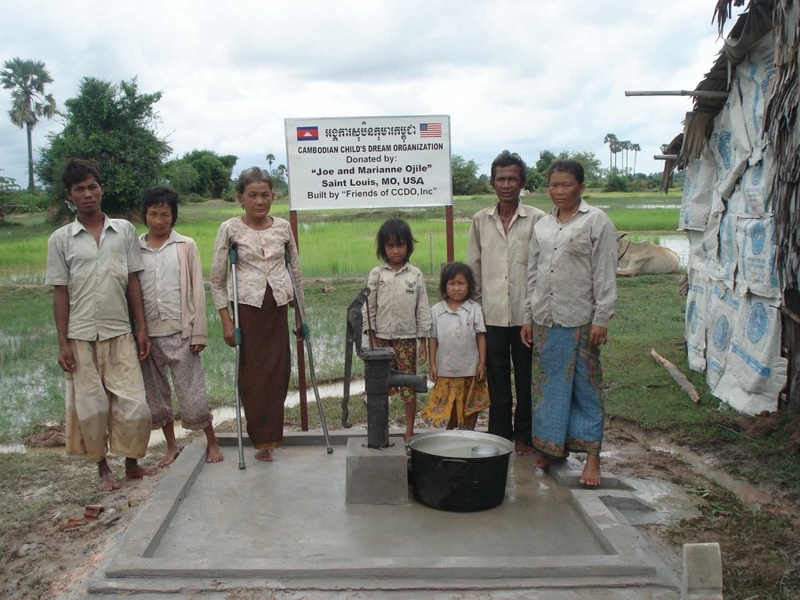 The placement of the water wells is suggested by the evaluation of our staffs. .It is important to research all the people in the village to see who has the most need for clean water. .Research all the people in the village to see who has the most need for clean water. .Check and test quality of water before and after building the well. .Monitoring the building of the water to ensure the contractor has provided a quality well. .Training villagers on the upkeep and repair of water well. 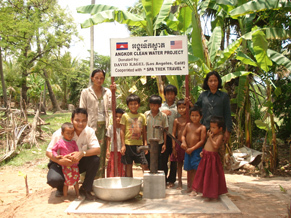 The main goal is to ensure that villagers in the rural area of Siem Reap Province have adequate supply of fresh, clean and safe water. Water, free from arsenic and E-Coli is essential to the wellbeing of the rural population.